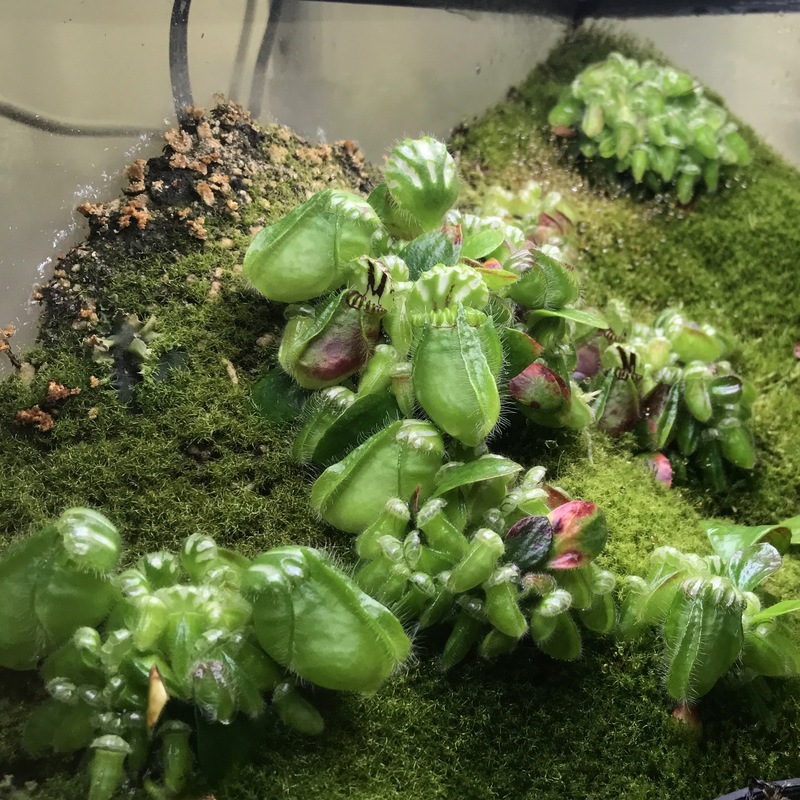 Cephalotus Projects - Tanks & Planters! Last June I started a 10 gallon ceph tank, all from cuttings, pullings, or divisions. 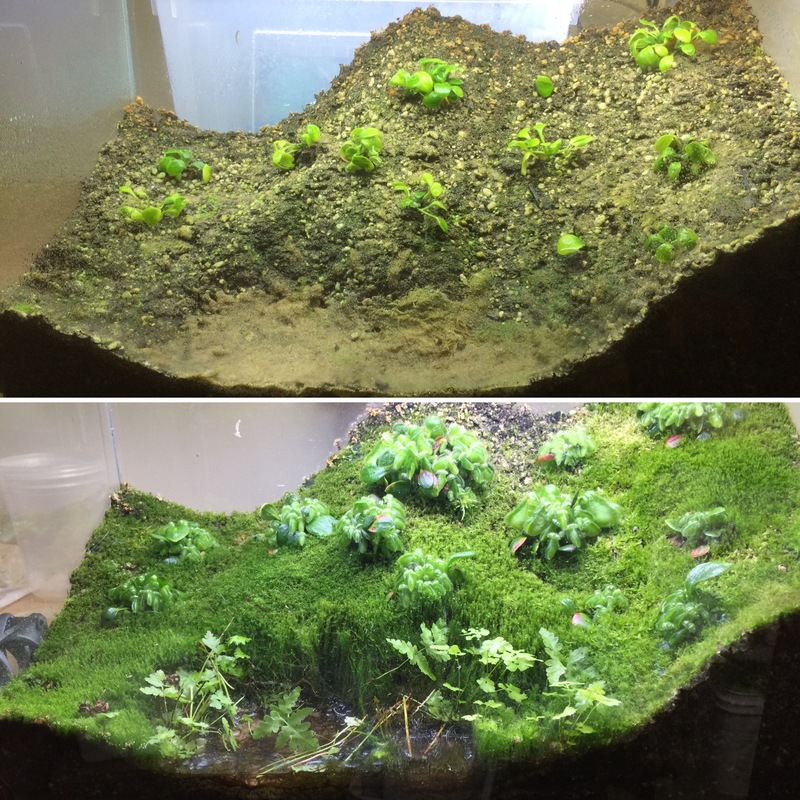 All survived and the surface now has a nice covering of moss. Last edited by MEOWorksCreative; 12-02-2017 at 09:35 PM. Very cool, it looks like they all filled out nicely. 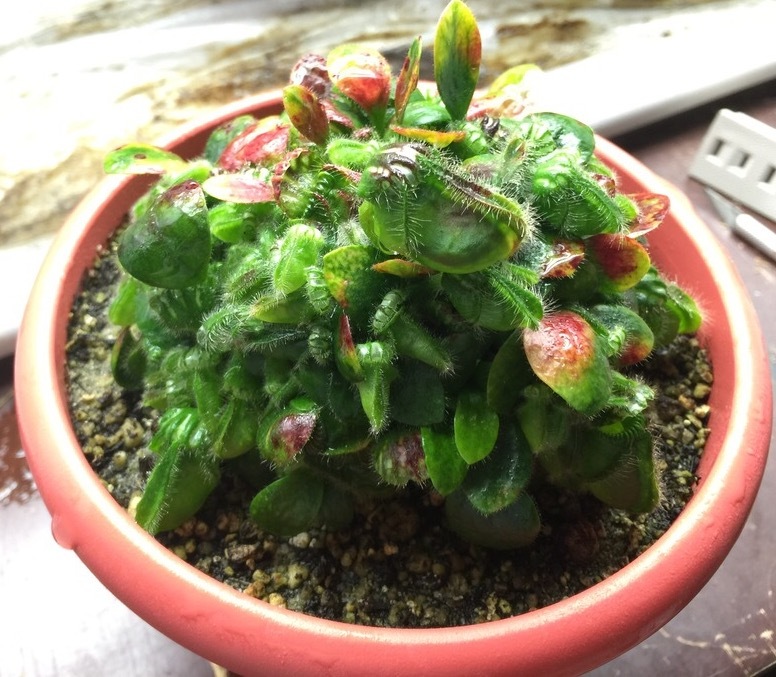 Have you considered adding the other Australian carnivorous plants found growing alongside cephalotus? I like your scaping, especially that little water area there. Do you have a drainage layer on the bottom or is it the same media straight through? I still have to fill in the "pond" area with sand. Will need to weed out the ferns growing there first. Last edited by MEOWorksCreative; 01-09-2017 at 07:14 AM. Good to know, thanks. Would love to see how it develops over time. I don't have any first-hand experience with cephs (yet), but that looks like great growth over a 6-month period! I also really like the "terrain" effect. Nicely done! Its time to build a Cephalotus grow space, would love input!